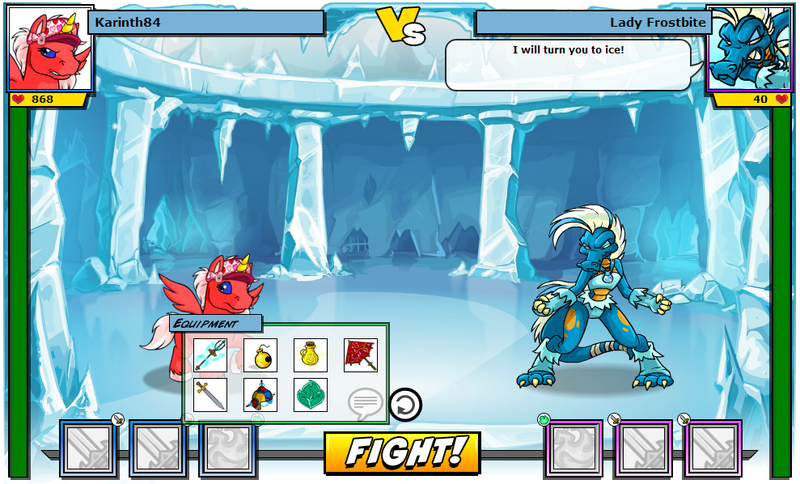 Now that you have a pet, weapons and abilities, you are ready for a fight. You might want to try playing 1 player fights first in order to get used to the fights. 1 player challengers are found all over Neopia. To fight them go to the battle page. In the next window (Choose a Match), click on the Challengers button. 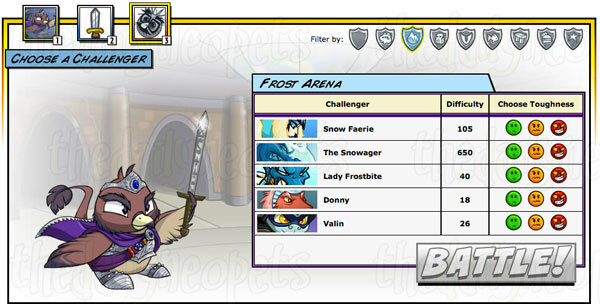 Then you will be able to select your opponent from the list. Please note that each challenger is available in 3 levels of toughness: average, strong and mighty. If you are a beginner, then we suggest going to Punchbag Bob or Inflatable Balthazar first for practice. Now you are inside the fight page. All your weapons are listed there. Choose which weapons you want to use in a particular round (you can choose a maximum of 2 weapons) by clicking on the left two boxes in the lower left corner of the screen. 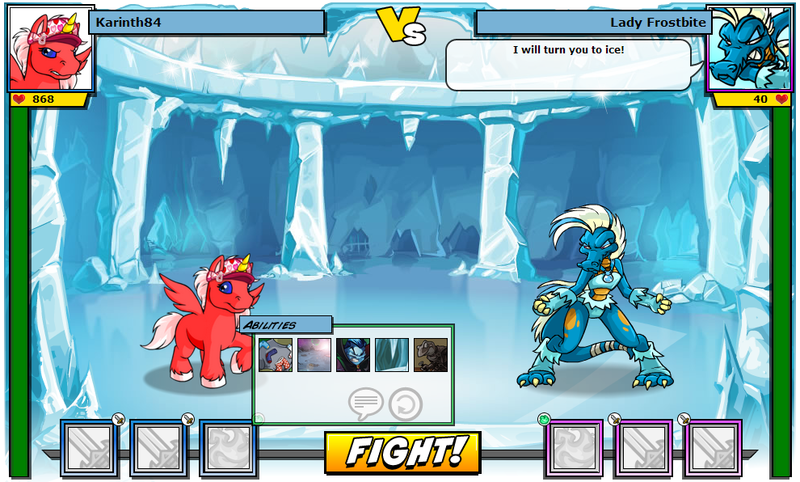 Next, pick your faerie abilities by clicking on the rightmost box in the lower left corner of the screen. Click the "Fight!" button to continue to the next round. You have to reduce your opponent's Hit Points to zero in order to win the battle. If your Hit Points drop to zero before your opponent, you lose the battle. A draw will be given if both pets' Hit Points went to zero at the same time. To withdraw from a 1 player fight, simply go to the Status Page and click the "Withdraw" button. Note, however, that withdrawing will count as a loss in your records.